Richard Wagner was a great German composer of the 19th century. He wrote a number of magnificent operas, such as "Tannhauser", "Lohengrin" and "Tristan and Isolde". Long before the word "multimedia" was invented, Richard Wagner created amazing operas which involved and united all the musical, poetic and scenic arts. These operas gripped the attention of the 19th century public and are still pulling in the crowds in the 21st century. Let us look at Richard Wagner and some of his operas. Richard Wagner was born in Leipzig. After postings with small orchestras in towns such as Konigsberg and Riga, and an unsuccessful marriage, he lived in Paris from 1839 to 1842, working as a journalist and doing hack work on operatic arrangements and unsuccessfully trying to get interest in operas which he was writing. In 1842 he was appointed opera conductor with the Dresden Opera House and tasted his first success with the performance of his opera, Rienzi (1842). This, however, was followed by performances of his operas, The Flying Dutchman (1843) and Tannhauser (1845), which were failures. Wagner became involved in revolutionary politics and, when the 1848 revolution failed, he had to flee Saxony and take refuge in Paris and then in Switzerland. It was not until 1861 that he was given permission to return. In this period of exile his writing and staging of operas continued. In 1850 he staged his opera Lohengrin in Weimar through the help of his friend, Franz Liszt. 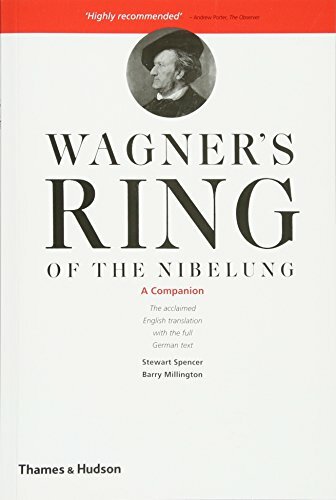 In 1852 he began work on the Ring of the Nibelungs cycle of operas (writing both words and music himself). He then completed the first two acts of the opera, Siegfried (1857). His exile over, Wagner was free but impecunious. He had to flee Vienna to escape his creditors. In 1864 he was rescued by the recognition and support of the eccentric king Ludwig II of Bavaria, who provided him with the facilities to stage his opera, Tristan and Isolde in Munich in 1865 and then The Mastersingers (1868). Ludwig's support also enabled Wagner to set up the Festival Theater in Bayreuth. This theater was designed especially to permit the performance of Wagner's Ring cycle, being large in size and equipped with mechanical apparatus to allow gorgeous scenic effects and transformations and other special effects (such as flights through the air) which were called for by Wagner's operas. The theater had the orchestra hidden away in a recessed pit (leaving a "mystic gulf" between the spectators and the stage) and had a superior sound (better acoustics) and feel to older, traditionally-designed opera houses. The Theater opened in 1874 with a performance of the Ring cycle. Wagner's last opera, Parsifal, was also staged there in 1882. 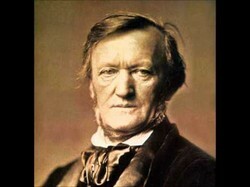 Wagner died in Venice, of a sudden heart attack, in 1883. After his death, Wagner's second wife, Cosima, who was the daughter of Liszt, carried on the tradition of annual performances of Wagnerian operas and this tradition continues to this day. "The Ride of the Valkyries" theme in Richard Wagner's opera "The Valkyries"
He also wrote an opera cycle, The Ring of the Nibelung (1876) (the component operas being Rhinegold, The Valkyrie, Siegfried and The Twilight of the Gods). Before Wagner, the composer wrote the music and a librettist (another person) wrote the words. 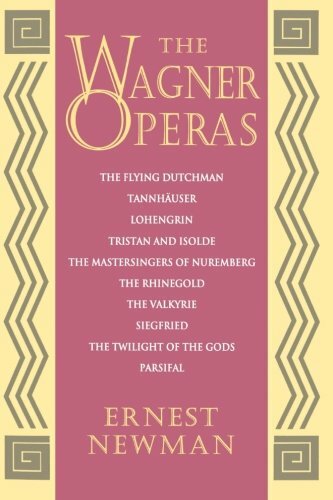 Instead, Wagner insisted on writing both the music and the words himself, and he closely supervised all aspects of the performances of his operas. This resulted in his operas (or, as he termed them, music dramas) should be a synthesis (combination) of all art forms, music, poetry, dance, mime and scenic effects. Wagner introduced an expanded orchestra. He used chromatic harmonies and pushed the limits of the traditional tonal system, anticipating the atonal music of the 20th century. "Siegfried's Death and Funeral March" from Wagner's opera, "Twilight of the Gods"
My idea is to collect and to display all kinds of material dealing with the German composer Richard Wagner. 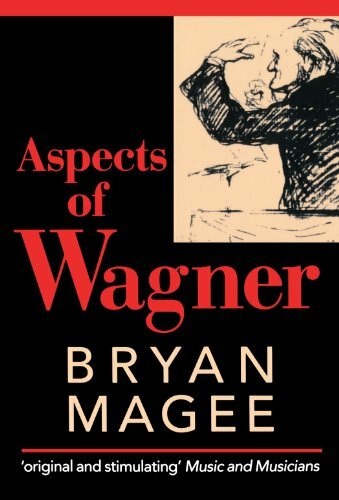 Nietzsche, Baudelaire, Twain and others speak about Wagner. Many of us had our first taste of Richard Wagner's music by listening to his "Ride of the Valkyries" in the helicopter attack scene in Francis Ford Coppola's movie, "Apocalypse Now". Memorable! The homes of the composer of Madame Butterfly, Tosca and La Boheme, are now Museums open to the public. Visit them and see and hear an opera in its exquisite lakeside setting.